Director of ‘One Man, Two Guvnors’ in Script to Stage workshop with Year 10 students. 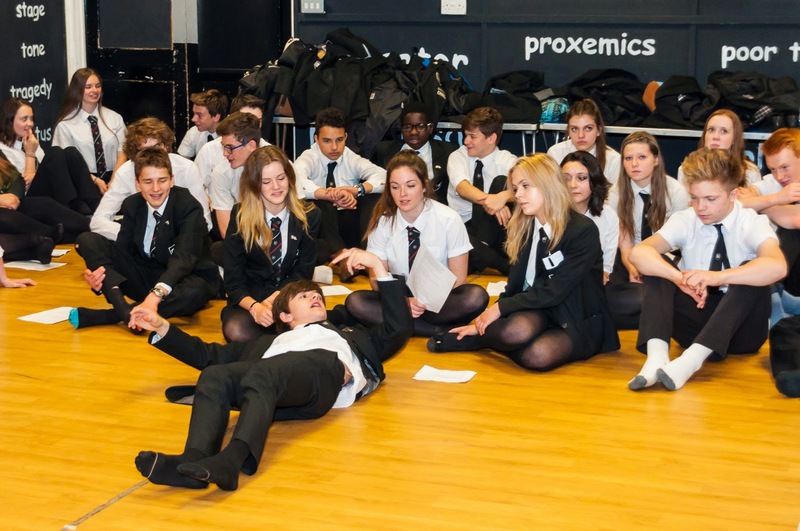 Katie Lewis, who is currently directing ‘One Man, Two Guvnors’ at the Ambassadors Theatre in Woking, was the guest of the Drama Department on June 18th when she led a Script to Stage workshop for students currently studying Drama in Year 10. The two hour workshop explored the rehearsal process, focusing on text from the script of ‘One Man, Two Guvnors’ as well as character analysis, acting techniques and issues behind staging such a major touring production. The workshop was followed by a visit to the Ambassadors Theatre later on the same day for the students to watch the evening performance of the play. One slightly damp Saturday morning in early May, 70 or so students of Winston Churchill School had willingly got out of bed (!) 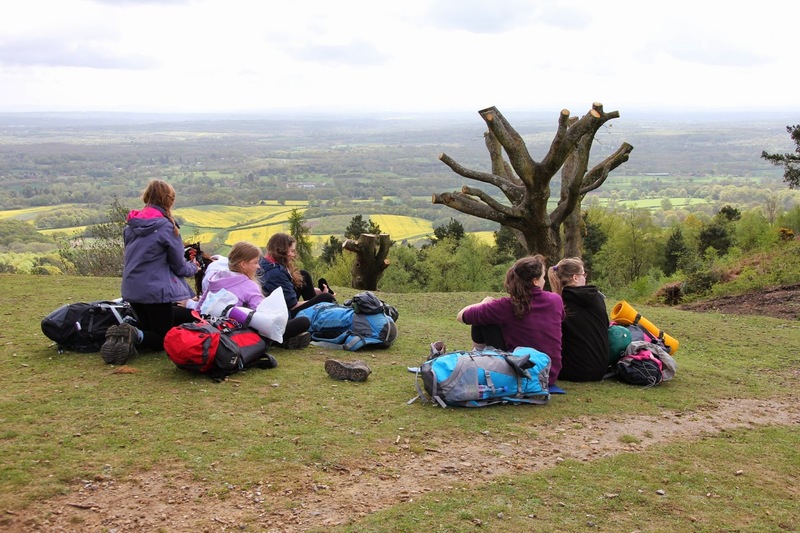 to walk 15 miles across the glorious countryside of the Surrey Hills for their Duke of Edinburgh Award Expedition, and were assembled in their groups to be sent off into the wilderness. The clouds were slightly ominous, but the atmosphere cheerful! Mr Cumner gave us a quick briefing of where we were going and what the milestones were, and checked the route that had been planned out previously by us in our groups, and then we were off. As soon as we started walking the clouds seemed to clear and the sun came out, and we all regretted wearing waterproofs! 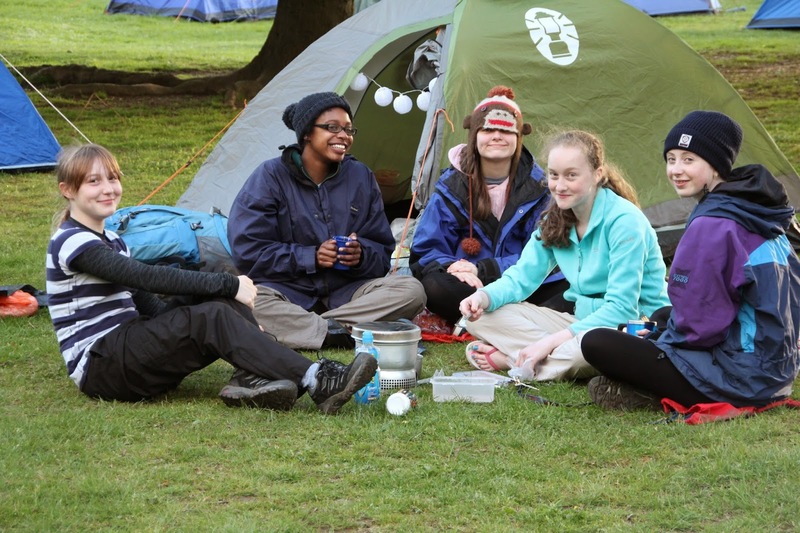 Fuelled by an almost constant mix of chocolate and trail mix, we made it to the first checkpoint within an hour where teachers waited to greet us and make sure we all got through safely. At the second checkpoint there was an hour long stop, which meant we could eat our lunch in the sunshine and catch up with our friends in other groups. About four hours later, most of us were at the campsite, feet aching bags suddenly 10x heavier than they had been at the first checkpoint. However we soon had the tents up and after a bit of a rest we set up the meth burning stove for dinner. 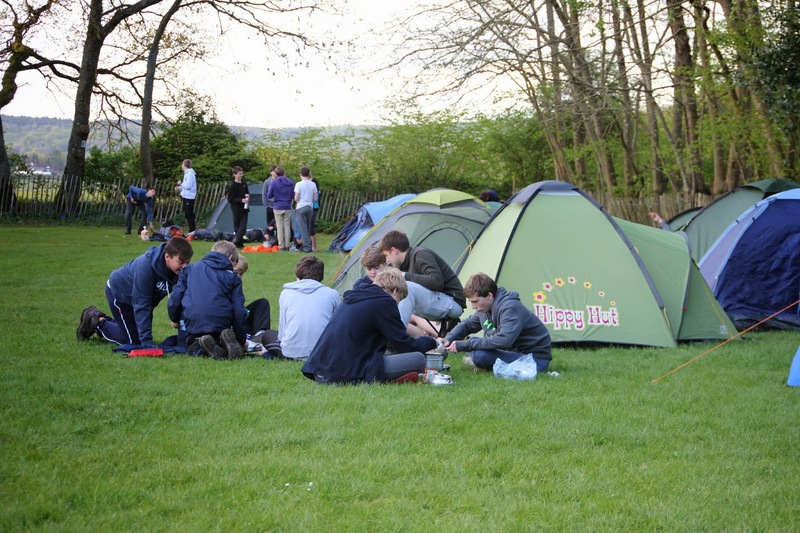 Most of us made camping ready meal equivalents, self-heating meals that you added water to (the evening’s entertainment!) or pot noodles or super noodles, ones you added boiling water to and a sachet of flavouring which turned them a radioactive shade of yellow! Lights were out by ten. The next morning we woke up a bit grumpier than we had been the previous night and had a brioche or a pot of porridge for breakfast. It was a bit more challenging to pack our bags, but everyone was ready by about 8:30. After doing jobs around the campsite, we washed up our stoves and got ready to leave. After a hard morning’s walk we were at the final checkpoint by 11-12 o’clock which was earlier than expected and were more than ready to go home for a long hot shower and lunch! All in all it was a great experience which I think all students should have and I want to thank all teachers who made it possible! I want to thank the all teachers involved, in particular Mrs Sweetman, Ms Sigrist, Miss Perkins and Mr Cumner, who make it possible.